Funding Long Term Care can take many forms and may be pre-planned or only addressed when the need arises. It may mean some care at home, sheltered accommodation or full residential care, with or without nursing. State Benefits may be available depending on circumstances and resources, but care often needs topping up. There are options available when funding care. Will your resources support you in care long term? Knowing your financial situation we can calculate a long term care plan. What are the implications for your spouse or family? 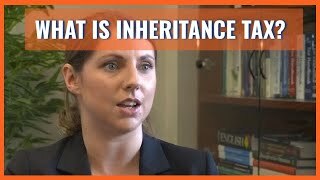 Inheritance considerations of your family are important. Our expert advisers know the implications. Whether you are a carer, in need of immediate care yourself or just starting to navigate the Long Term Care advice maze please contact us for an initial no obligation discussion. As life expectancy increases, the likelihood of needing some form of care in later life becomes ever more probable. The longer we live, the more likely we are to experience a range of medical conditions which leave us requiring regular professional care. The care landscape is complex, especially when it comes to funding. The care we require in old age could include assistance in our own homes, living in sheltered accommodation or full time residential care. All come with their own costs and funding options which in the first place need to be made sense of. State benefits may be available depending on circumstances and resources, but care costs often need topping up. Through years of advising clients on financial planning for long term care, Fiducia Wealth has built up a wealth of specialist knowledge. Whether you are looking to make contingency plans in advance or you have immediate care costs that need taking care of, our team is on hand to guide you through the numerous options available. With our extensive professional experience, we will help you reach the right decisions both for you and your family. Will your resources support you in care in the long term? Understanding your current financial circumstances is the first step to determining what needs to be done to cover the costs of care. Whatever the shortfall between your available liquid assets and the projected care costs, that becomes the focus of our funding strategy. We can also advise on topics such as lifetime care cost caps and thresholds for benefit entitlement. Even if you have the assets to cover the costs of long term care, the inheritance considerations for your family are important. Years spent paying for care can easily wipe out even sizeable estates, leaving your children and grandchildren with nothing. Generating additional funds to mitigate this is much more preferable to most clients. The way you organise your finances to pay for care will also have tax implications. Our expert team of advisors will help ensure liabilities are kept to a minimum. Whether you are a carer, in need of immediate care yourself or just starting to navigate the long term care advice maze, please contact us for an initial, no obligation discussion.